Have you ever felt the need to play Android games on a personal computer? Or have felt the need to use your favorite app on your laptop? Or even fascinated how would it feel to play an Android game or use an app with a mouse? Chances are you have and luckily you are not alone.Millions of Android fans who also happen to be fans of personal computers use Android app player for Windows to have an amazing experience. In this article, we will talk about NOX emulator – which mimics the exact working environment of an Android phone on your PC or laptop. What this means is that you can play your favorite games and use all the Android apps right on your PC! Millions of Android fans who also happen to be fans of personal computers use Android app player for Windows to have an amazing experience. In this article, we will talk about NOX emulator – which mimics the exact working environment of an Android phone on your PC or laptop. What this means is that you can play your favorite games and use all the Android apps right on your PC! NOX emulator is an Android app player for Windows operating system. It creates a virtual environment where a user can experience Android apps and games no matter how complicated the app control scheme is. The NOX Android app player for Windows is available for download at popular app download websites. How to Download and useNOX Emulator? The NOX app player download options vary from platform to platform. It is available for both Windows and iOS platforms. You can either download from the official website of a mirror link. You will just need to make sure that the mirror link is authentic with no history of scamming people into downloading infected software. 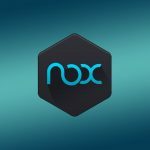 NOX app player offline installer is also available through an APK for Windows users. As soon as you have the setup file, you can go ahead and install it on your system. The process might be a bit slow but it is very simple and most of the times self-explanatory. After installation, you can create an account or log in using your existing Google Play Store account. You can even log in using multiple accounts at a time. That is pretty much it. You are now ready to unleash the power of the best Android app player for Windows. It is absolutely options on how you choose to play games or use an app. You can either use mouse, keyboard or even a game controller. Although Nox emulator is not the only Android app player for Windows it does have a clear edge over many other competitors due to its useful features and regular updates. Here are a few reasons why you should use NOX emulator as your Android app player for Windows. It has a modern fluid design. The work environment is very quick. The emulator does not freeze after playing process intense games. Compatible with almost all apps and games. NOX emulator is compatible with X86 and AMD. It has an active community of users and fans. NOX emulator is frequently updated.